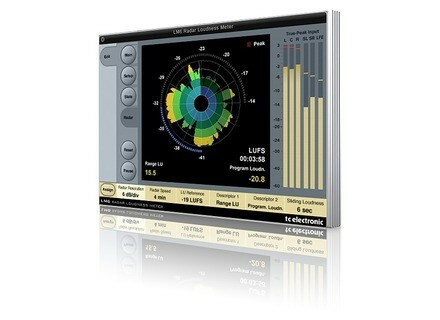 LM6 Radar Loudness Meter, Tuner from TC Electronic. 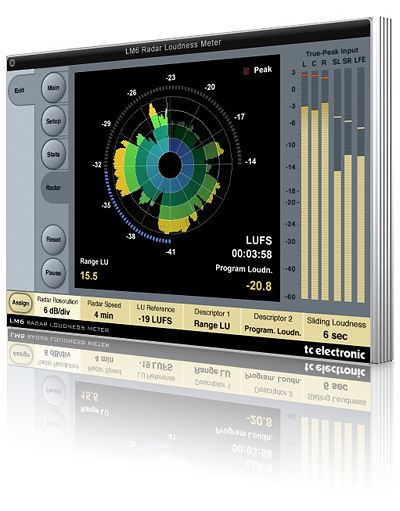 TC Electronic has announced that its new LM6 Radar Loudness Meter plug-in is now shipping. TC Electronic's radar display is designed to be a solution when upgrading audio production for broadcast, film and music from unsatisfactory peak level indicators to loudness-based metering. With the introduction of the new LM6 Radar Loudness Meter plug-in, audio professionals using Media Composer, Final Cut Pro, Pro Tools, Logic Pro, Nuendo, Wavelab, Cubase, Sequoia, etc. on a Mac or PC can now have direct access to this meter which covers mono, stereo and 5.1 productions. The user interface of the LM6 plug-in is similar to TC radar meters for other platforms, for instance LM5D for Pro Tools HD. Users familiar with the radar will therefore be able to move between platforms. Thanks to TC technology, the numbers also come out exactly the same whether a program is measured with LM5D, with a TC hardware radar meter, or with the LM6 plug-in. The LM6 Radar Loudness Meter plug-in is available for DAW platforms supporting Audio Units, RTAS, AAX Native or VST plug-in formats. No additional hardware such as Pro Tools TDM or PowerCore is required – the only piece of hardware needed is an iLok 2 USB Key for holding the plug-in license. In fact, anyone with an iLok 2 USB Key can try out the LM6 plug-in for 14 days for free. Price: USD 599 / EUR 449. Crossgrade Price*: USD 399 / EUR 299. Owners of LM5D for Pro Tools HD. Owners of TC's PowerCore platform. New owners of LM2, TM7, TM9, System 6000 MKII, DB2, DB4 MKII, DB8 MKII or P2. Detunized releases Operator 53 On the occasion of its 3rd anniversary Detunized has released a Free Live Pack – Operator 53.